The next issue of French satirical newspaper Charlie Hebdo will hit stores on Wednesday as usual, but will have an extended circulation of one million copies, according to employees of the weekly who survived Wednesday’s terror attack. Despite the tragedy, the publication's journalists and cartoonists have all agreed to continue working on the paper, Charlie Hebdo columnist Patrick Pelloux said. "It's very hard. We’re all suffering, with grief, with fear, but we’ll do it anyway because stupidity won’t win," he told AFP. 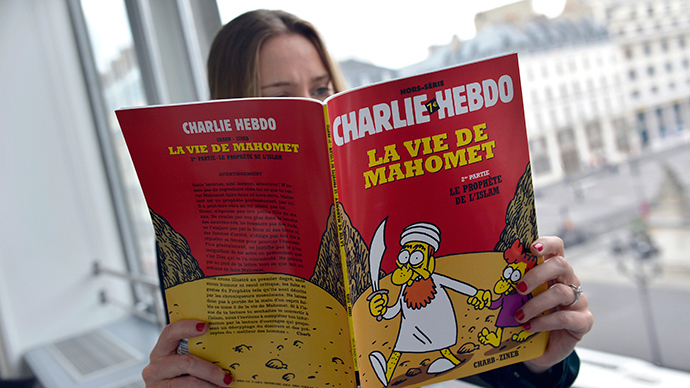 The next issue will have a print run of one million copies, compared to its usual 60,000, Charlie Hebdo lawyer Richard Malka said. It will also be two times shorter, consisting of eight pages instead of the traditional 16 pages, he added. 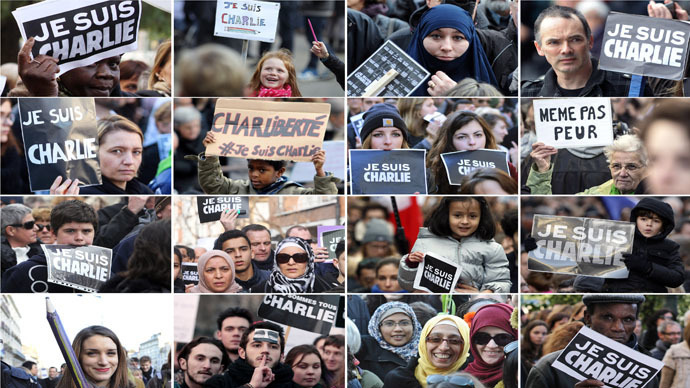 The remaining Charlie Hebdo editorial staff will move to the headquarters of Liberation paper in the French capital. The satirical weekly, which lost most of its talent in the shooting, will receive assistance in distribution and financing from several French media outlets, including Le Monde publishing house and Canal+ Group, the lawyer added. “Confronted with horror, Radio France, Le Monde and France Televisions will provide Charlie Hebdo and its staff the human and material means it needs to continue,” the media outlets said in a joint statement, calling for other journalists to help out. The French outlets have already gathered half a million euros to help keep Charlie Hebdo afloat; 250,000 euros from the Press and Pluralism fund, and the rest from Google-AIGP Digital Innovation for the Press Foundation (FINP). A total of 12 people – including the magazine's top editor, prominent cartoonists, and two policemen – were killed after masked gunmen opened fire at the satirical paper’s office in Paris on Wednesday. The motives for the killings aren’t yet clear, but Charlie Hebdo has been a source of controversy in the past and has received numerous threats for satirizing the Prophet Mohammed and other prominent Muslim figures. A cartoon with the leader of the Islamic State jihadist group Abu Bakr al-Baghdadi was the last to appear on Charlie Hebdo’s Twitter account before the attack. A large-scale manhunt is underway in France for two suspects in the attack, who are believed to be brothers Cherif and Said Kouachi, aged 32 and 34, respectively.